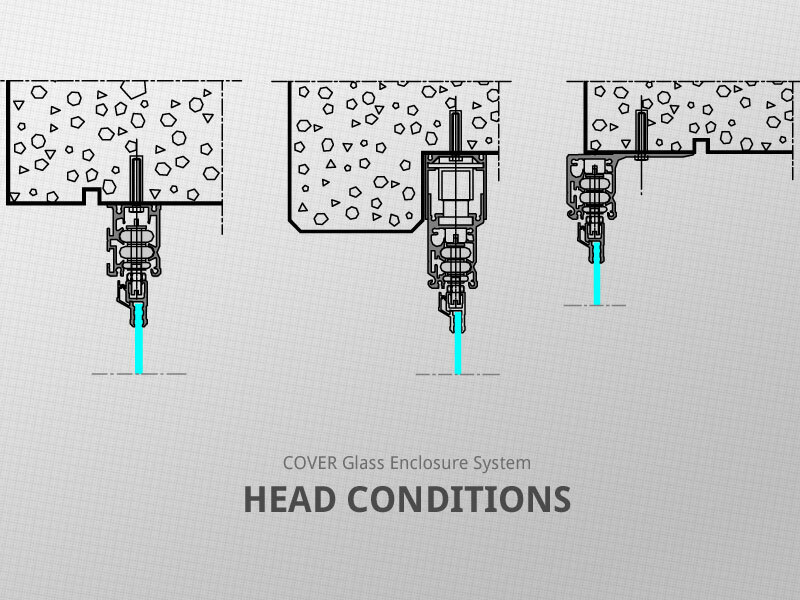 COVER Glass Enclosure System consists of specially designed glass panels suspended between upper and lower steering profiles. 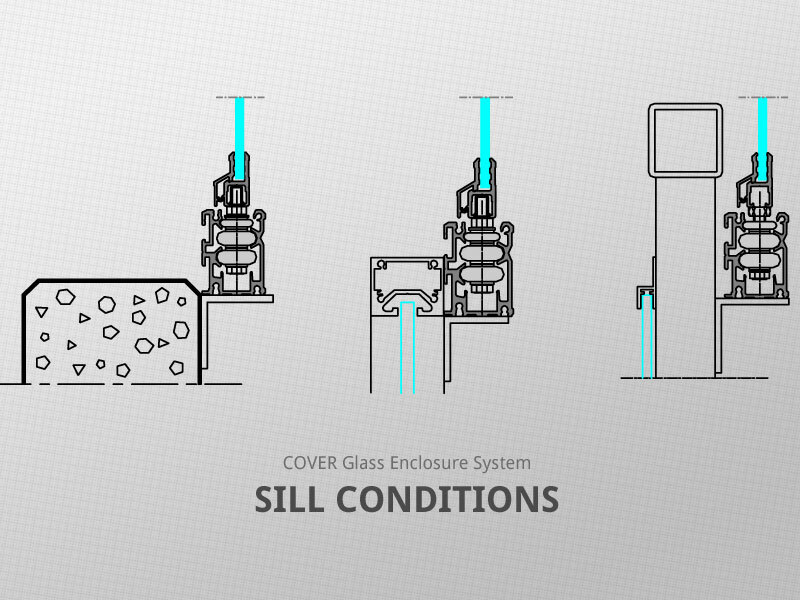 Each individual glass panel can slide freely in both directions. Glass panels can easily slide around corners, regardless of the angle. 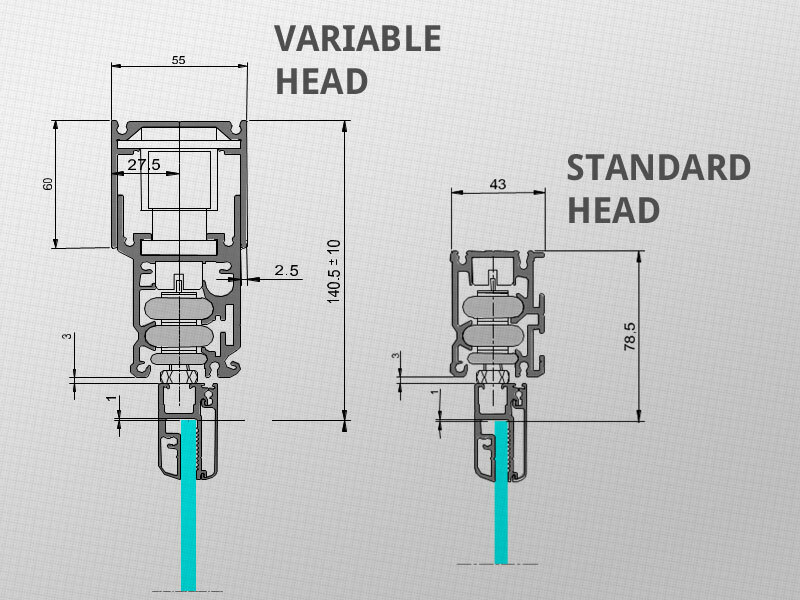 The system is both top hung and bottom supported, with 75% of panel weight carried by the top track. 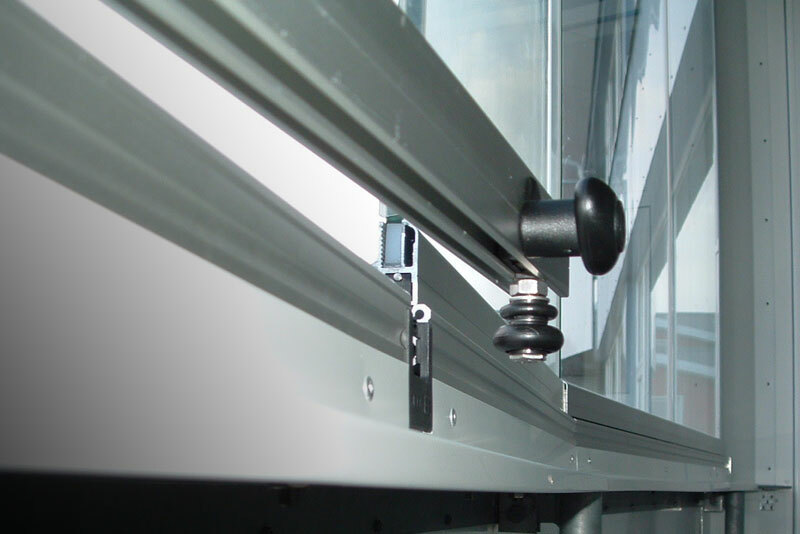 COVER profiles for top and bottom tracks and glazing sections consist of specially designed aluminum extrusions that are in compliance with DIN 1748. They are available in clear or dark bronze anodizing and white powered coat paint finish as standard in-stock finishes. 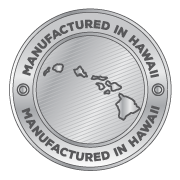 Custom finishes are also available on an as requested basis. Profiles for top and bottom tracks are installed and fixed in perfect levelness for smooth operation throughout the run of the opening. For installations prone to building movements, an adjustable head track is available that allows for periodic realignment to maintain levelness. Profiles utilize other metal components for panel operation and fasteners that are all of stainless steel. 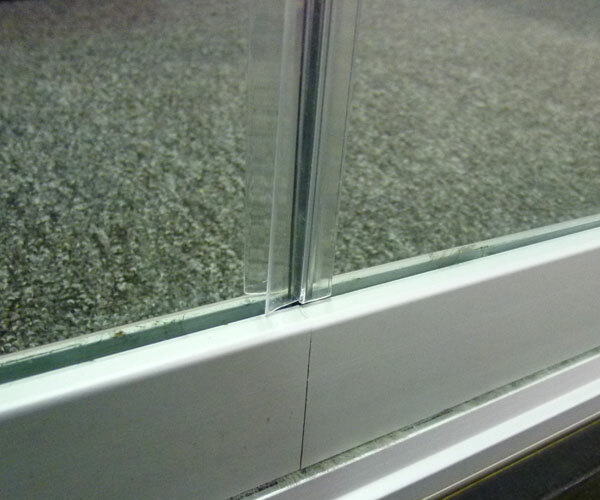 Glass panels consist of tempered safety glass with polished edges in compliance with EN 12150. 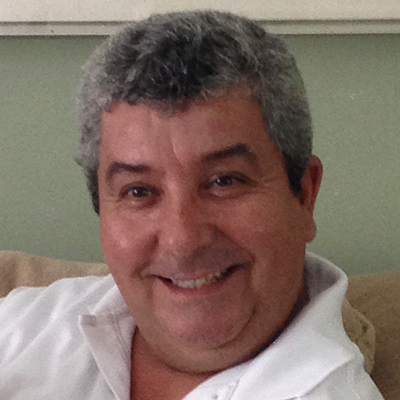 Glass is typically 3/8 thick, but can be 1/2 inch thick, or according to project needs. The top and bottom of each piece of glass is fixed into glazing sections with silicone and stainless steel fasteners glass perforation. 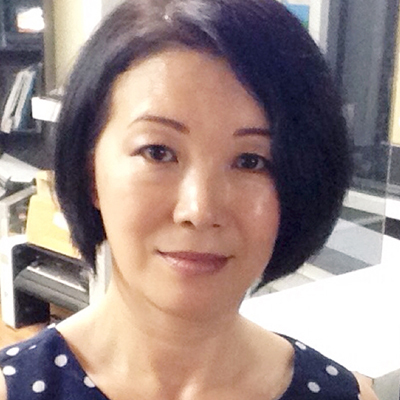 The number and widths of glass panels are chosen in relation of system length. 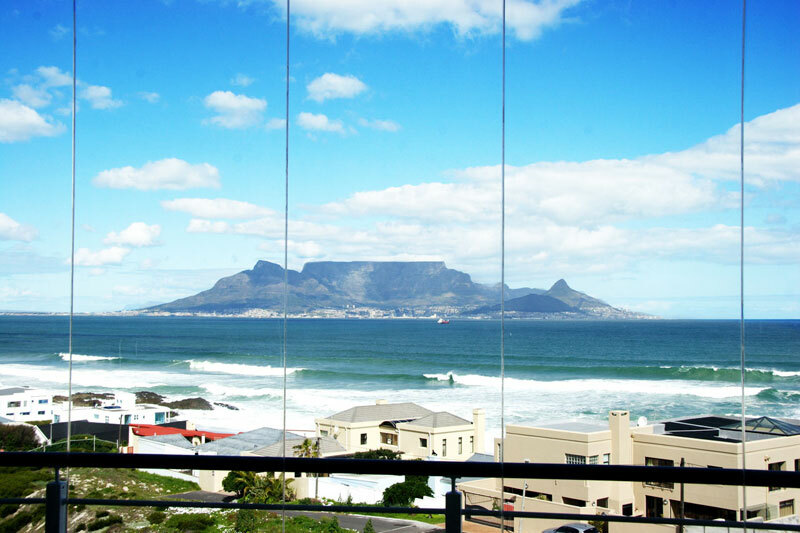 Glass panels are generally 26 to 32 inches wide, and up to 108 inches in height. Every installation is custom fit, allowing for flexibility in panel sizing to customer preference within system limitations. 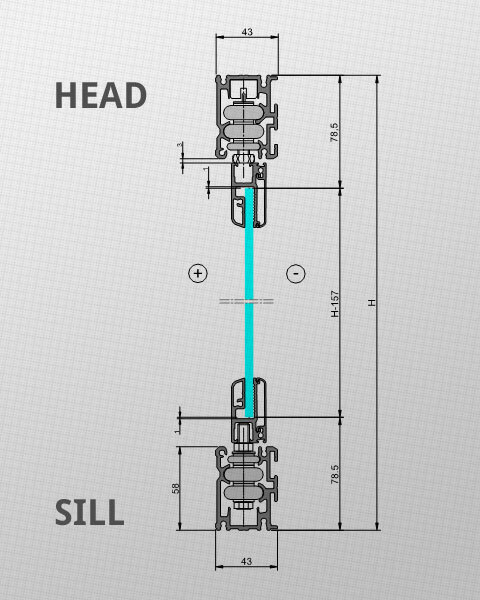 Glass panels slide end-to-end on a single track, opening and stacking at one or both track ends; for long openings panels can also open and stack at a predetermined location along the track, such as at a building column. Glass panels can be easily changed if it is necessary. Each glass panel is installed with four specially designed wheel units that require little to no maintenance for most installations. The wheel units operate within head and sill track components used for panel operation. They consist of heat resistant polymer wheels with stainless steel ball bearing action to ensure effortless and silent horizontal sliding. The POM injection molded wheels, under random profile testing, were undamaged at loads exceeding 1,320 lbs; tensile strength of their gearing axle exceeded 3.560 lbs per axle. 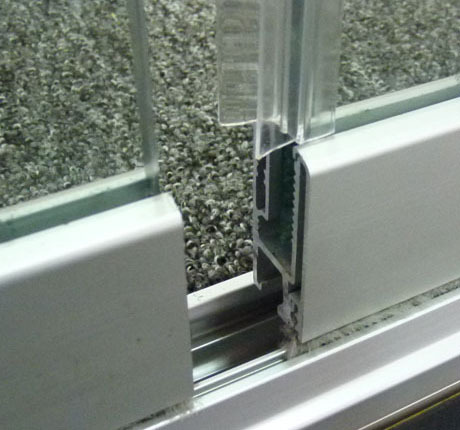 Nylon brush with center silicon fin seal strips are placed horizontally between track and glazing profiles. 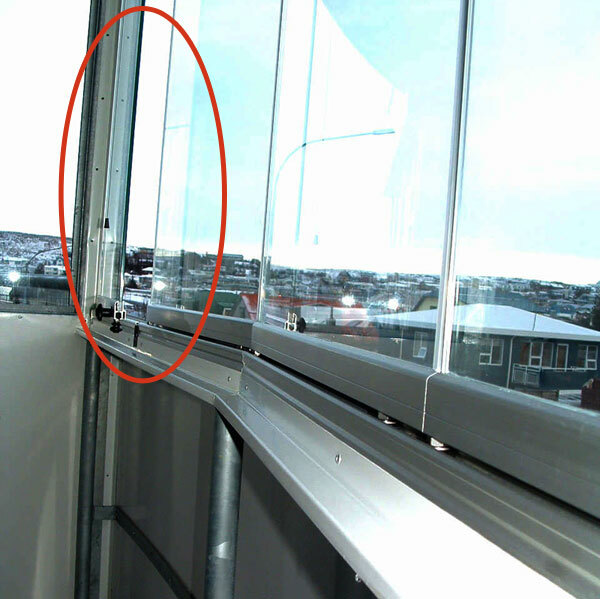 Polycarbonate H-shaped translucent interlocking channels are placed vertically at the small gaps between glass panels. Extruded aluminum or PVC profiles are placed vertically at the opening intersection of wall or column or other building element and glass panels. 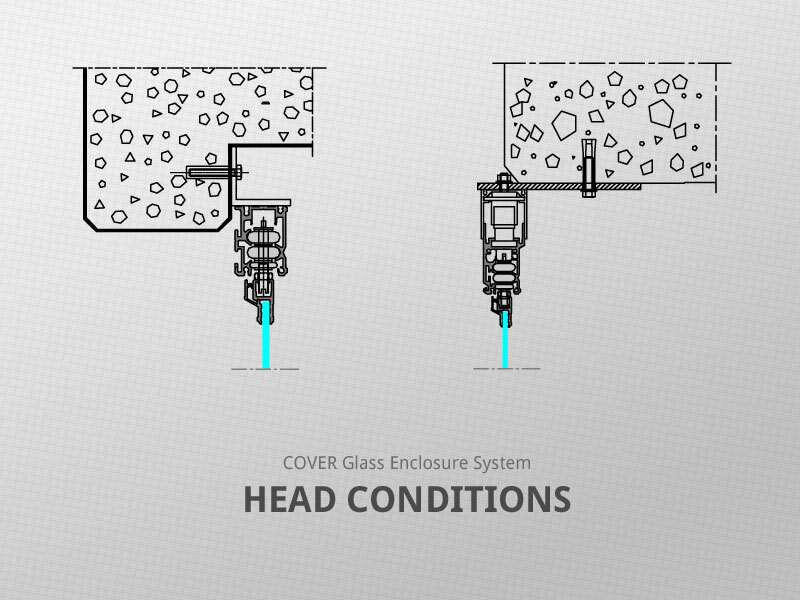 Inherent in the COVER Glass Enclosure System is the providing of ventilation by only partially opening of the system; i.e. opening the first swing panel and sliding the other panels apart to create whatever size gaps are desired for air flow. 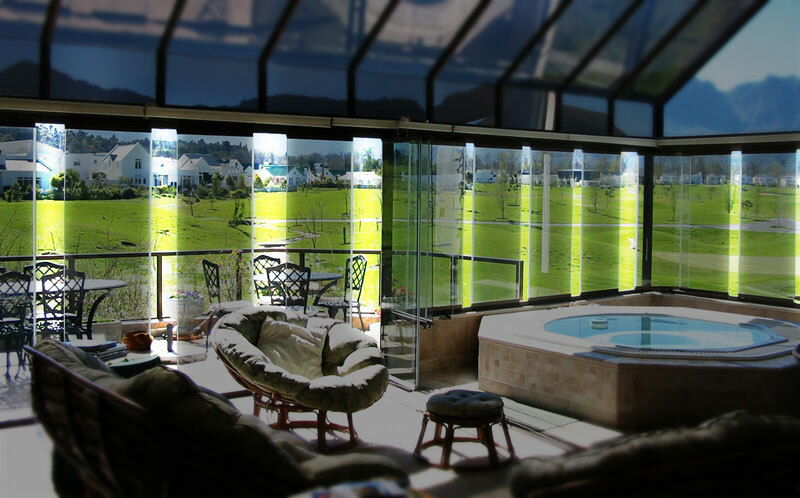 Additionally, for lanai enclosure installations, the polycarbonate interlocking channel between glass panels can be omitted to allow permanent natural ventilation having minimal water penetration under normal conditions. 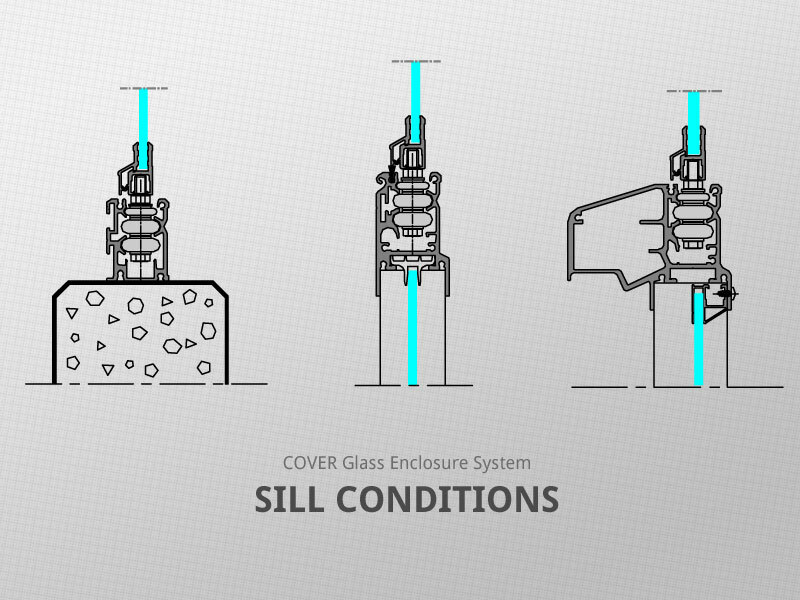 The COVER Glass Enclosure System has been laboratory tested for structural performance, water penetration, and air leakage as a primary enclosure system. Testing performed by the National Certified Testing Laboratories has certified the COVER Glass Enclosure System as meeting or exceeding the minimum requirements under ASTM E330 Uniform Load Structural Test, ASTM 331/E547 Water Penetration Resistance, and ASTM283 for Air Infiltration/Exfiltration.